A recognition event was held for two Waterford Institute of Technology (WIT) students who won the “Outstanding Student Award” for their participation in the Double Degree programme at WIT. The Double Degree was established between WIT and the Brest Business School in France. 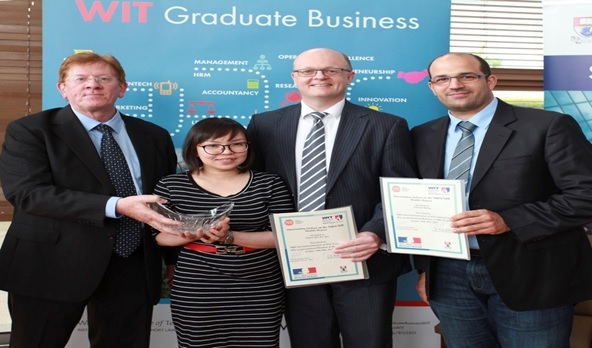 This degree encompasses the MBS Internationalisation programme and the MIB degree in France. The recipients of the Outstanding Student Awards were students Eileen Yan Yee Tan (MBS Internationalisation) and Vincent Hartig (MSc International Business). The recognition event was kindly supported by the French Embassy under their Dual Degree programme development initiative. The MBS Internationalisation programme is a one year taught postgraduate business programme that is aimed at students who are interested in developing the skills and knowledge to work in international business environments. 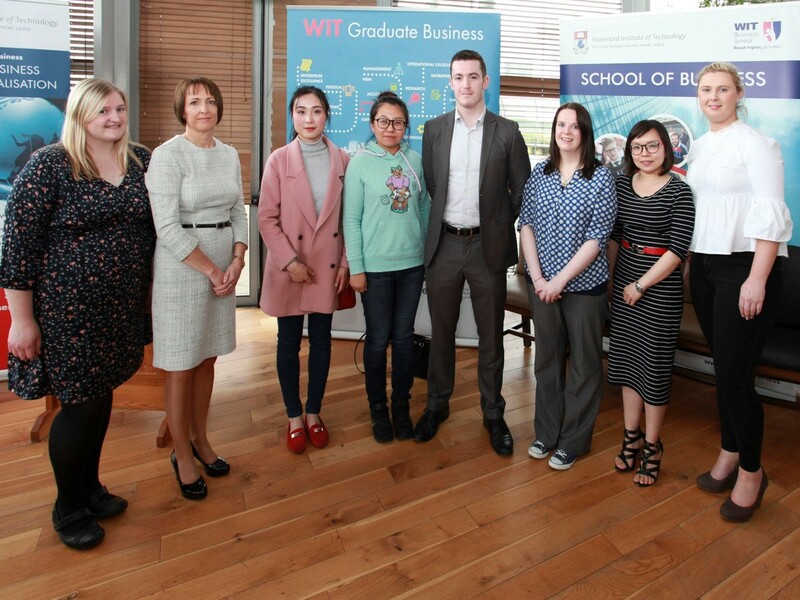 Past graduates of the programme, Siobhan Dunphy, O’Neill Foley accountants, Johanna Kavanagh, Buyer / Planner with MSD, Jingshu Guan, part-time lecturer, WIT, Rachel Wu, self employed Chinese teacher, Darrin Byrne, E-Commerce and Analytics Specialist, Bank of Ireland, Elaine Reid, CIT Cork, Eileen Tan, PhD candidate WIT and Sarah Morahan, Project Manager, Suirway Group.